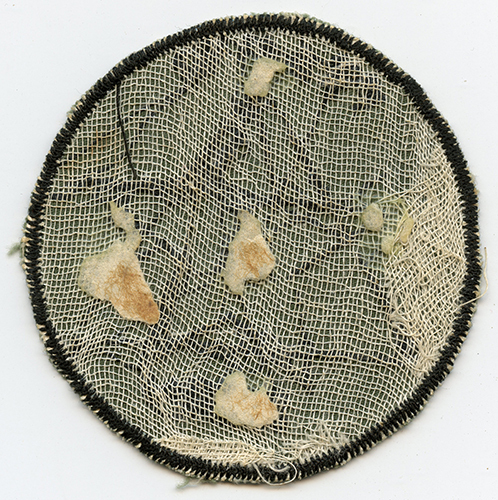 ARTIFACT: This is a mid-late 1960�s US Army MACV (Military Assistance Command, Vietnam) Advisor Team 10 pocket patch. It was hand embroidered in Vietnam, and the unit was stationed at Can Tho, Vietnam. The patch is simple, with a 4 inside of a five pointed star, and the star inside of a triangle. SIZE: Appr: 3-3/16� in diameter. CONDITION: 8+ (Excellent): There is only slight fraying. The patch has been removed from a scrap book, so it has some glue and paper residue on the reverse.